IFSP Development, Service Coordination, Teamwork, What Would You Do? You are here: Home » IFSP Development » Disagreements During the IFSP Meeting…What Do You Do? 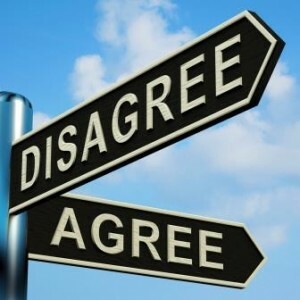 Disagreements During the IFSP Meeting…What Do You Do? The discussion began as a celebration of the child’s progress but gradually becomes more tense as the child’s IFSP outcomes are reviewed. As each outcome is discussed, the speech therapist feels that the child has met it but the mother disagrees. She says that the child talks more during the therapy sessions than he does when the therapist is not in the home. The therapist suggests that the child no longer needs therapy because he is doing so well with his communication development and has met his milestones. The mother, however, strongly expresses her wish for her son to stay in speech therapy to make sure that he continues to develop and is able to talk as much between therapy visits as he does during them. This puts you, the service coordinator, in difficult position – one of mediator between two differing points of view. What do you do?? Consider how you would handle this situation if you were the service coordinator, or perhaps you are another service provider with an additional opinion to share. How would you help the team move forward? Do you support discharging the child from speech therapy? Or do you write new goals and continue intervention? Is there a compromise here? How do you facilitate this discussion so that all points of view are considered? What information could you have gathered before this IFSP meeting that might have made this meeting go more smoothly? New short term goals added. Conversation would continue. I’ve been in this situation as an SC countless times. And countless times, I’ve struggled. I can understand your struggle, Leah, because this situation is sensitive and can be different each time depending on the family and the provider. I really like your script, though, especially how you would bring the conversation around to the daily routines. I also LOVE the strategy of asking “if I was a fly on the wall, what would I see if it were going well?” What a great way to word that question! This is a great illustration of helping the parent express the outcome she would like to see. Would you then ask the therapist to start visiting in the afternoon when the brothers get home?